Weird Wonderful Web: Early iPod prototype still in use! Man carrying early iPod prototype. 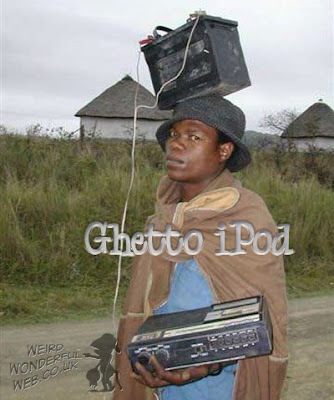 This man seen sporting what was the prototype for the first iPod. "Gigs? No no no. I do not go to gigs. I just listen to my C90 tapes." "A menu? What are you talking about? This is not a restaurant. Why do I need a menu?" The man replied with an incredulous stare.